The trip to the Wonder of the World allows you to enjoy one of the most incredible natural landscapes in the world. It also offers a tour of the mysterious Inca buildings of more than 600 years ago. But that’s not all, it is also possible to make two hiking trails considered among the best on the planet. It’s about the treks to the tops of the Machu Picchu and Huayna Picchu mountains. Both promise to see the Inca Citadel from the top. Which of the two do you choose? Learn a little more about each of these experiences in the Inca llaqta and inspire yourself to live the journey of your life. On the orders of Pachacutec the Incas built an urban, religious and resting place for the inka and his family in about 1450. This important building was made as high as possible on a slope of the Machu Picchu mountain and at the foot of Huayna Picchu, another minor summit. The result was the Wonder of the World, an enclosure that harmonizes with nature around it. Many things changed since then. Now, the site is one of the largest tourism spots on the planet. 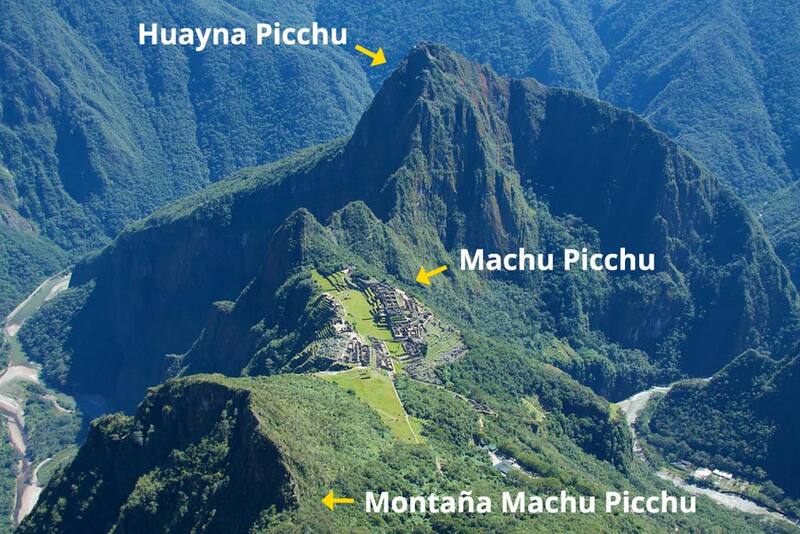 However, the two summits where the Inca site was built remain firm: the Machu Picchu mountain and the Huayna Picchu. Currently, these two mountains offer incredible adventures for the visitor. The Huayna Picchu is known as the ‘young mountain’. This is perhaps due to its smaller size compared to the imposing Machu Picchu mountain. It is located north of the Inca Citadel, at 2,720 meters of the sea level. On its top, the Incas built a dizzying path, viewpoints, platforms and an incredible enclosure in the middle of two natural caves, although its function is still uncertain, this place was called the Grand Cavern or the Temple of the Moon. To get there they also had steep roads near the mountain limits. Today, these stone paths in the limits of the Waynapicchu are one of the most requested attractions by visitors. It is the trekking route to the top of Huayna Picchu, from where you can appreciate all the beauty of the Wonder of the World. This is considered one of the most incredible short walks in the world. The ascent is hard and extreme due to the frightening ravines next to the Inca trails. It takes an average of 2 hours between up and down. Even so, it is still one of the favorite adventures for tourists. The Machu Picchu mountain is known as the ‘old mountain’. This maybe due to its greater dimension to the Waynapicchu or ‘young mountain’. It is located at the top of the Inca Citadel, at 3,082 m.s.n.m. On its slopes inca trails were built in order to reach the highest and worship the Andean gods such as the hills, the sun, etc. Although any Inca temple was built on its roads, the great elevation of this summit earned it one of the most important ‘apus’ (quechua words means God) that surround the Wonder of the World. Today, the steep trails that take you to the top of the Machu Picchu mountain are one of the most adventurous new tourist attractions of the Inca city. This hiking route covers almost 2 kilometers of steep Inca roads from where you can appreciate all the beauty of the geography that surrounds the Inca Citadel. 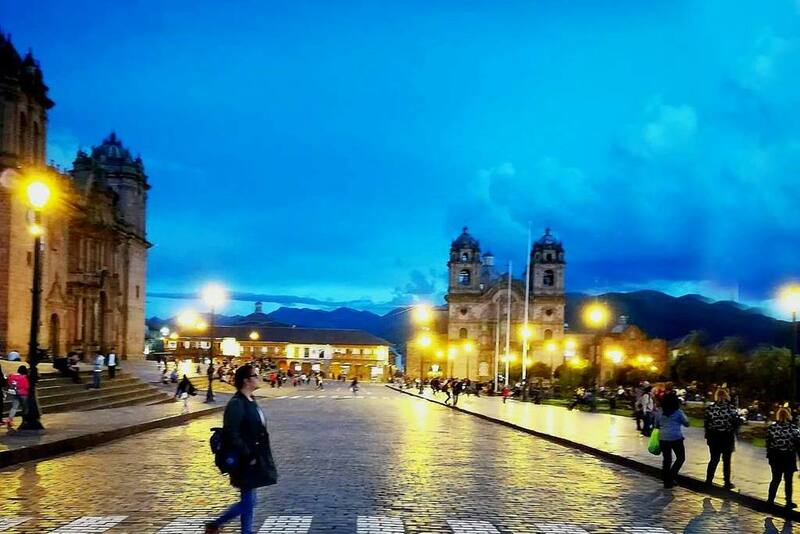 Unlike Waynapicchu, roads are wider and safer. Getting to the top and returning takes on average 3 or 4 hours depending on the physical conditions of the person. Why choose Huayna Picchu? – Because the feeling of adrenaline does not compare with any other walk. At the top the effort will be rewarded with a full view of the Wonder of the World. Also because it is possible to appreciate the Temple of the Moon with few or no people around. 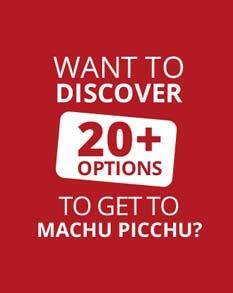 Why choose Machu Picchu mountain? – Because it can be done as a family. It is not necessary to reach the top to appreciate the unusual beauty of the place. The Machu Picchu + Huayna Picchu Ticket and the Machu Picchu + Mountain must be booked in advance, especially during high tourist season (April to October). Although it is not necessary to be an expert mountaineer, it is advisable to be in an acceptable physical condition before the adventure. Before carrying out any of the two walks, it is recommended to adapt to the height of Cusco. Two days of acclimatization will be enough. The ascent to the Machu Picchu and Waynapicchu mountains is not a race for those who arrive first. Walk at your own pace. There is enough time to complete the tour. In both cases, only a backpack with a weight no more than 5 kilos is allowed. Carry only the most important: sunscreen, water, sunglasses, hat or cap, rain poncho, camera and some snacks.